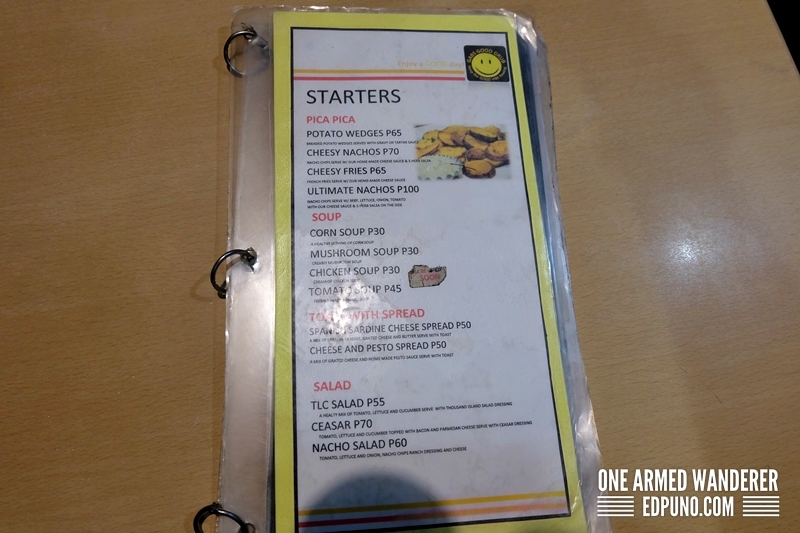 During our budget staycation in Makati, Jen and I were determined to find cheap eats in the area. We left BRBlock Boutique and Residences for dinner and started driving in search for cheap food places in the country’s most expensive city. 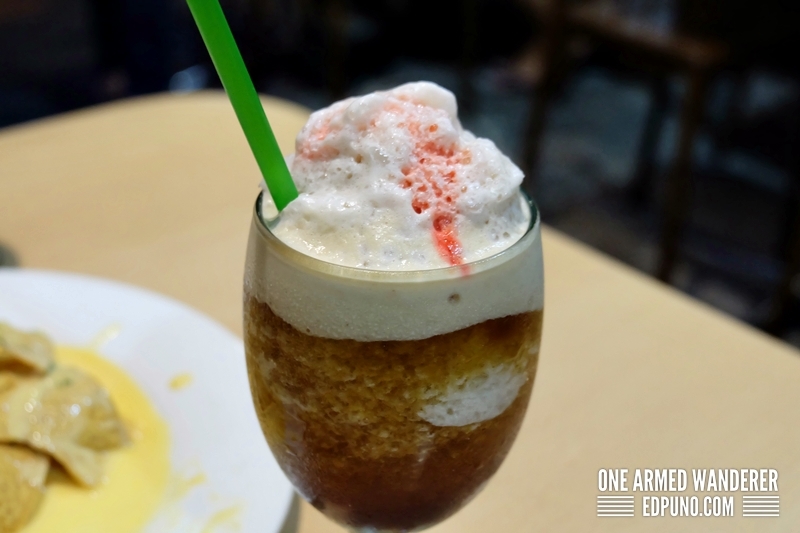 Located along Mabini street and is just few meters away from Makati Museum, Gabs Good Grabs is truly a hidden gem for budget conscious food lovers. 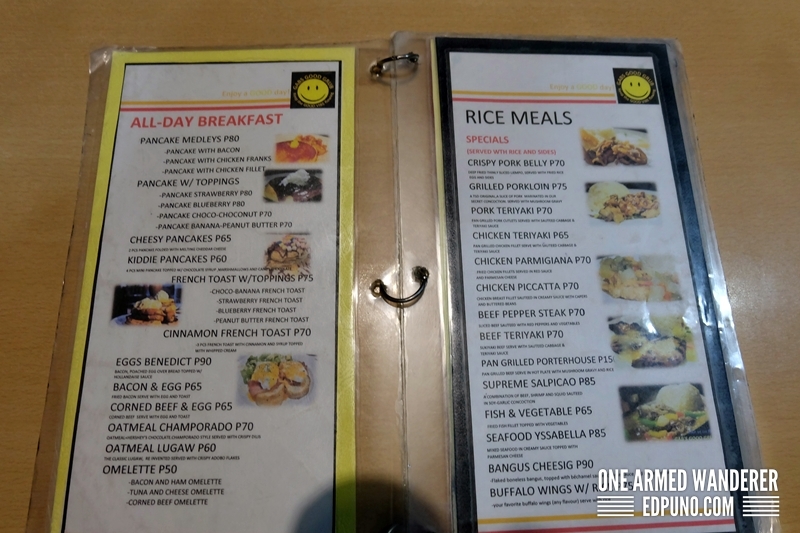 This 24 hour diner offers a wide array of delicious and affordable food on their menu, from starters (starts at 30 Php), all day heavy breakfast (starts at 60 Php), rice meals (starts at 70 Php) to burgers and pastas (starts at 75 Php). With its limited real estate, Gabs Good Grubs can accommodate approximately 20 diners at a time. We visited this hidden gem in Poblacion at around 10 PM and we had to wait several minutes as the place was fully occupied. As we entered the open air dining area of Gabs Good Grubs, we were greeted by the courteous waitress while handling us their menu. We ordered Seafood Ysabella, Supreme Salpicao and their signature Iced tea slush. Seafood Yssabella (85 Php), mixed seafood in creamy sauce topped with Parmesan cheese served with rice and sides. 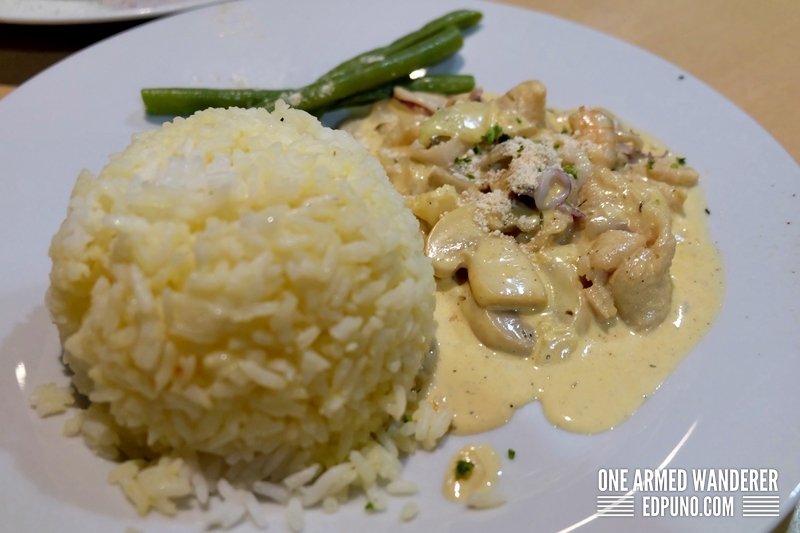 If you love seafoods and white sauce, you would never go wrong with Seafood Ysabela. 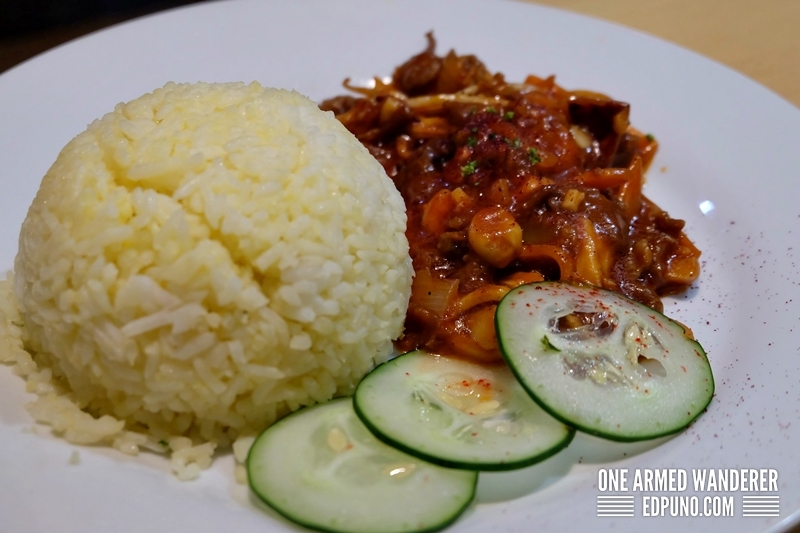 The chopped fresh squids, shrimps and fish in creamy sauce is truly a must try! We super loved Seafood Ysabella! We even ordered a second plate of this yummy Gabs Good Grubs dish. Supreme Salpicao (85 Php), combination of beef, shrimp and squid sauteed in soy garlic concoction served with rice and sides. Given the affordability of Gabs Good Grubs rice meals, their generous serving (especially the rice) and plating/food presentation will make you think that you are not dining in an affordable food place in Makati. 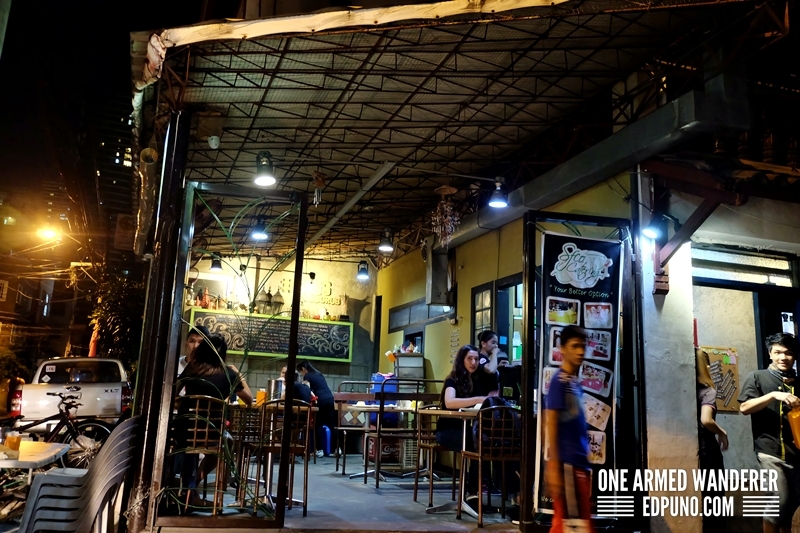 This must visit food place is Poblacion is also located in A. Mabini street and is also few meters away from Makati museum. 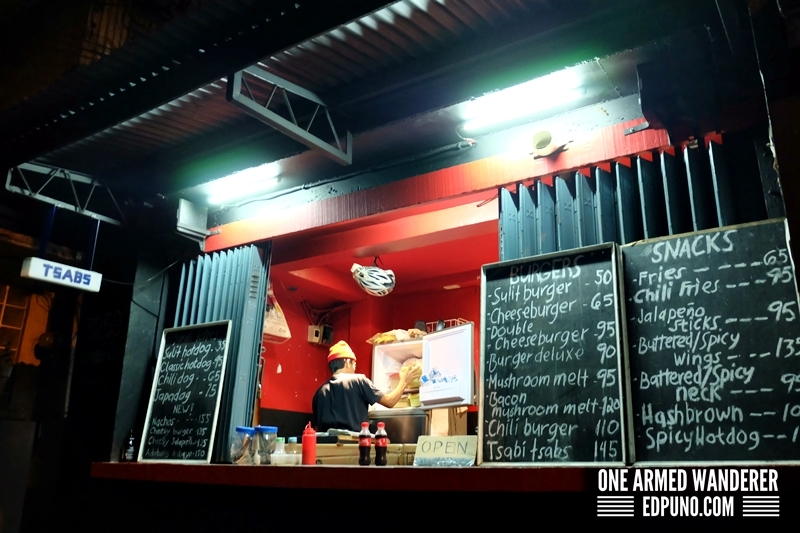 If you are a burger lover, Tsabs Sandwich Bar has a pretty good selection of burgers. 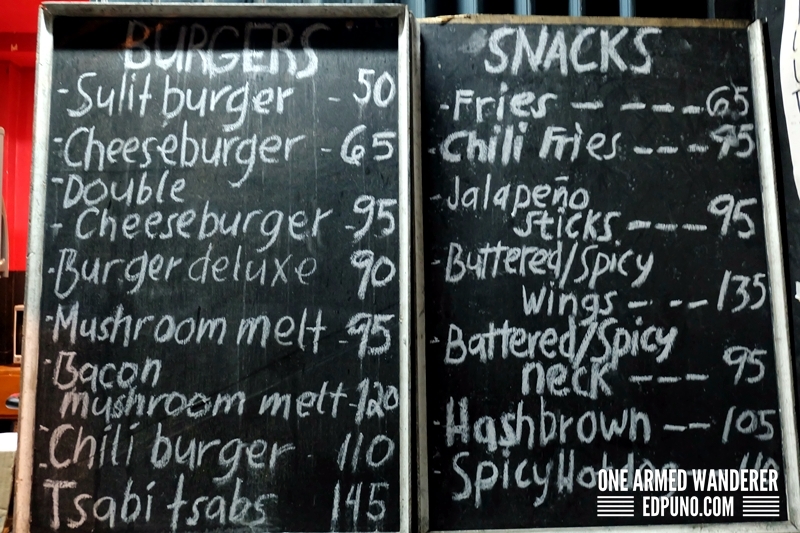 Choose among the 8 burgers on their menu, from the cheapest sulit Burger (50 Php) to their signature Tsabi Tsabs burger (145 Php). Unlike Gabs, Tsabs only has 2 small tables set-up in the street that can roughly accommodate 8 guests at a time. 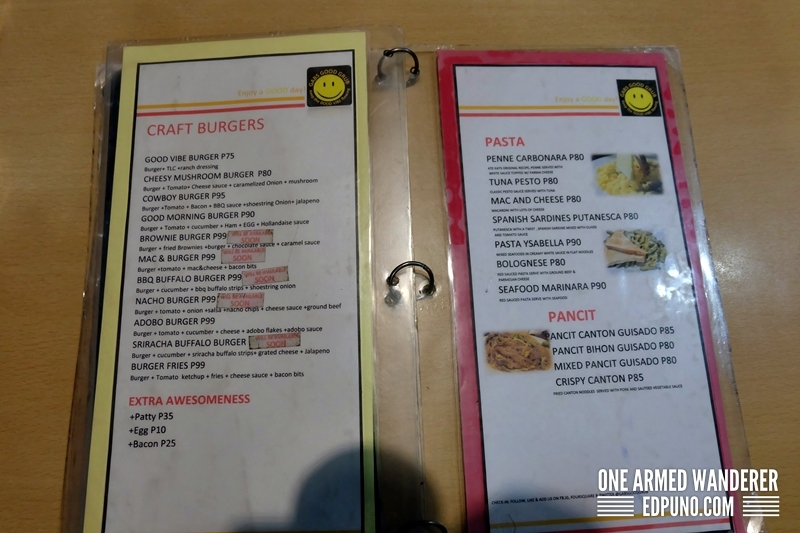 We ordered cheeseburger (60 Php) and Bacon Mushroom Melt (120 Php). Tip: I highly recommend to visit these places late night at there is only limited parking space in the area. Parking is at the front of Makati Museum. 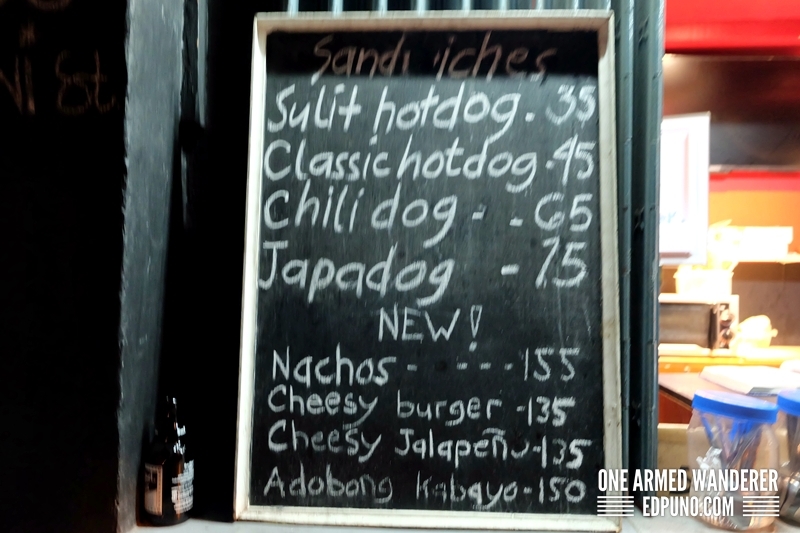 Overall, we enjoyed the budget dining experience in Gabs Good Grub and Tsabs Sandwich Bar. 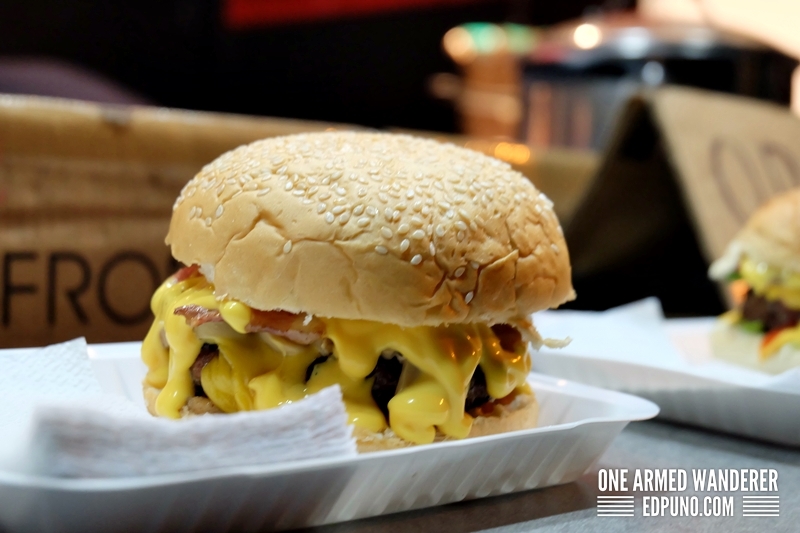 If you are visiting Poblacion in Makati, forget Makati’s expensive restaurants and give these two budget-friendly food places a try! 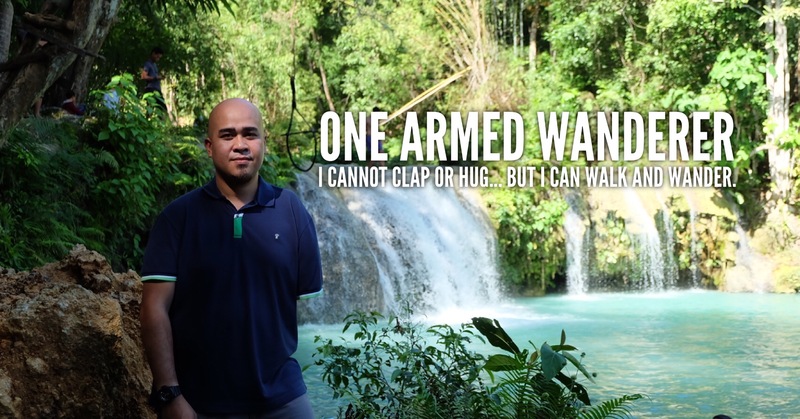 Visiting Makati City? Book your hotel HERE.